Once again, it's been a while since the last major release; indeed we'd intended this to be a "summer release", but it turns out it's closer to a Christmas release instead. Unlike professional games companies who are forced by arbitrary deadlines to drop a product regardless of how finished it is, we wanted to make sure this was a good one. The amount of playtesting and bugfixing that has gone into 2.35 dwarf that of 2.3 and earlier releases, so rest assured there will be no Day One patch. This is without doubt the most stable iteration of EBII we have ever released. We are confident that with a proper installation and doing your own research, you should have no problems finishing your campaign. As ever, we still expect people to find things that have been overlooked; while we have new tools and more internal playtesters, there are things we may have missed, or which need a longer play-through to appreciate the impact. Use this thread to report your feedback, if you have any bugs, use the appropriate subforum. If you feel inspired enough to do a Let's Play or the like, let us know so we can promote it. Given it's been longer in development than planned, there is an awful lot of new content. We didn't call this 2.4 because we haven't even touched one of the major goals for that release, that being to complete the remaining faction slots. Some factions have been revamped for 2.35 - either browsing the changelog or else giving them a spin will make it clear. Many factions have also had new features added, and there are 40 new units to play with across a broad swathe of the map. We think you'll find it's been worth the wait. If you are new to EBII, please make sure you read the opening pages of the Player's Guide (included in the root of your EBII installation), and those specific pages relating to the faction you intend to play. This will give you some understanding of the features unique to that faction and give you some idea of what to look out for. This is a complete installation, it's best if you remove any previous versions of EBII you have installed. Before we get into the details, it's necessary to reinforce an important point: the installation instructions are lengthy and detailed because they need to be. We gathered all this knowledge the painful way, through bitter experience of what does and doesn't work with this clunky old game and the myriad configurations of platform and medium out there. These instructions are not optional, if you do not follow the right ones for your machine, it is highly likely the game will not function properly. If you do not follow the instructions and get issues, we will not be able to help you until you've conformed with the instructions. These appear in the Player's Guide which is bundled with EBII, but for completeness they are repeated here. 1) [Mac and Linux] it is assumed that you have the Feral Interactive version of M2TW Kingdoms. For people who do NOT have the Feral Interactive version, you will need wine to run the game. 2) Install Medieval 2 Total War and the Kingdoms expansion (at least 1 mod) outside of C:\Program Files. Use a short directory such as C:\M2TW as an example. 4) Start the game and start a campaign, then quit. Do not skip this step. 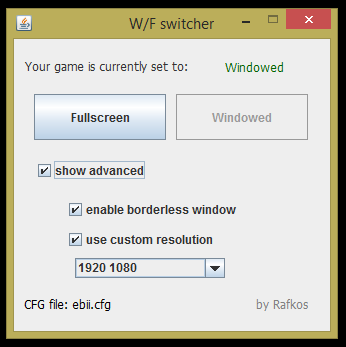 5) You can change the game settings to your favourite key bindings, graphics, unit size, camera, ect. 1) [Mac and Linux] Steam has the Feral Interactive version of M2TW Kingdoms which will run better on your operating system. You still need to complete the post installation instructions after installing M2TW Kingdoms and Europa Barbarorum II. 3) Create a game library outside of C:\Program Files\Steam. Official Steam instructions Gigantus Total War Center instructions. You can make “F:\Steam Games” the default install before you download Medieval 2 Total War and the Kingdoms expansion, then change it back when you are done. Steam Menu > Settings > Downloads > Steam Library Folders > right click “F:/Steam Games” > Make Default Folder. 6) Start the game and start a campaign, then quit. Do not skip this step. 7) You can change the game settings to your favourite key bindings, graphics, unit size, camera, ect. [Mac] Mac users are assumed to have wine to run the installer exe with. If not there is a ZIP version to download which means you will not have to use the exe. 1) Uninstall any previous versions of EBII (there's a shortcut for it in your start menu). 2) The downloaded file is a zip archive, which means you need to unpack the installer files from the zip file. Windows Explorer should allow you to simply copy the contents out. If not, you can download 7-zip for the purpose. 4) Step through the install wizard. Make sure the installer is pointed at your M2TW directory such as in our CD example “C:\Games\M2TW”or Steam example “F:\Steam Games\steamapps\common\Medieval 2 Totalwar”You need to change it from the default if it is pointing at Program Files. 5) Wait for the installer to copy all the files. 6) If you did not start a M2TW vanilla campaign after installing it, run that now. Start a campaign from Medieval.exe, then quit. 7) Run the mod using the shortcut placed in your start menu or desktop. 8) Start a EB2 campaign. WAIT for the game to generate the world, the game has not frozen, then quit. 9) There may be a “Fatal Graphics Error” and crash to the desktop when you start the campaign only on the very first time. This is normal, just start the game again. 2) Download DirectX End-User Runtimes (June 2010). 1) Copy no_banner.mesh from share/data/mods/ebii/data/banners to share/data/data/banners (yes outside of the mod's folder). 2) Delete your settlements folder in share/data/mods/ebii/data. You play with vanilla settlements. 4) Move your settlements folder in m2tw/data/mods/ebii/data to your desktop. 6) Once you have created it, give permission to all users so that they can each read and write to the folder. The game is started using this launch batch file. There should be a shortcut on your desktop. [Mac and Linux] The following instructions are for those who do NOT have the Feral Interactive version of Medieval 2 Total War Kingdoms. Download Notepad++ to cleanly edit files. Windows Notepad will randomly insert characters when editing files causing errors. Never use it. Make sure your error log is working properly so you can properly report any issues. This means the log will be stored as eb.system.log.txt in [your M2TW directory]\mods\EBII\logs\. We will need this log any time you report an error. This will record every process the game makes and hopefully help us identify the exact causes. Don't forget to change it back when you are done because this detailed level of recording takes up lots of memory and causes crashes. Report your errors and post the Error log(eb.system.log.txt) file to the Total War Center EB Bug Reports and Technical Help subforum. The Error Log is often very large so compressing it into .zip or .rar archives is a good idea. If "1" doesn't work, try "true" instead. Note you'll have to enter your native resolution in there to get a proper-sized window. You also need to ensure your medieval2.preferences.cfg doesn't have conflicting values. All you should need to do is click the Windowed button. It's common users encounter technical issues while using old software like M2TW. It's only designed to address 2GB of RAM regardless of the users actual hardware capabilities and that limitation can cause stability problems with large mods like EB2. There are 3rd party utilities which can address this problem, but there might be legal ramifications and any software modification is potentially problematic, so users should do their own research and make their own independent decisions. The game will increasingly hog more memory as the turns pass by. After a few hours the game may crash or cause the graphics to switch around. If you see buttons that are replaced with faces or buildings immediately save the game and quit to avoid imminent crash. It is a good idea to save and quit every few hours to empty out the memory. Though it is useful for tracking down consistent errors, don't leave it on when you are enjoying the game. 2.35 has a complete set of "Captains" that are different from the Generals. However, they are disabled, because the file in question, the descr_character is an either/or choice. Either you have proper generals in Custom Battle, multiplayer and historical battles (and no distinction between Captains and Generals in the campaign), or you can get a distinction between Generals and Captains in campaign battles only (but in the other three you always see Captains). As always, back up your file so you can revert before you apply this. Note this is NOT savegame compatible. Please keep seeding these when you get them, so everyone else can share. If you have the means to host the files, please do so and share the link - I'll update this post with it. - Revised Family Trees for Seleukids and Ptolemies designed to "keep the Royal ethnicity alive"
- Vast new "Eastern Migrations" script - no longer is the north-east corner of the map quiet once you've taken out the Rebels. - Adds all-new "After Alexandros" series of battles to the Historical Battles section. There are 65(!) battles available, listed in chronological sequence, not all of them take place in Hellas and the east. - Major project to collapse the number of folders in unit_model (f/e Romans are now three folders instead of 14) - from 263 folders to 62. - Revises the naval unit system to change the balance of play and to include many new unit descriptions. Fleets are no longer an optional extra if you have ports. - War triggers script replaced with a simpler forumlation (57 fewer monitors) - all in all total number of monitors in the script brought under 1000. - Updates to Baktrian/Hayastan punitive expedition scripts which should mean they now work as intended. No more double-indemnity if you agree to pay after missing a tribute. their work, we will either credit it specifically (if missing) or remove it at your request. This product is made available for private use as the EBII modification of the Medieval 2: Total War game. Usage of mod material for the purposes of creating a submod for EB II is also authorized. and which is not credited as such, please notify the team. are covered in the file titled "License.txt" located in the mods\EBII\data\sounds\music\ folder. Yughues aka Nobiax(at shareCg) and Roma Surrectum II team for some their wonderful vegetation models. Omri Lahav and the 0AD Team for allowing the use of some of their soundtracks. The De Bello Mundi mod team for graciously allowing us to use their settlement models and onager. The Rusichi mod team for allowing us to use the horses animations. johnwhile for his tools and support offered, they were crucial in our modelling and animation phases. Michael Levy of www.ancientlyre.com for some of the wonderful ancient music. and solving settlement-related bugs and CTDs. LordOfTheEmos for his jungle tree texture. Kevin Van Lierde for his unit browser. MIKE GOLF for his help in various things. Xeofox and RTR for the "soft hat" steppe portraits. The Org staff for their help and hosting our internal fora. The Total War Center staff for their support with our fora. Ludens for moderating our fora, having graciously accepted our request to do so. The always supportive Tosa Inu, who sadly did not live to see the day of our release. and the current team has probably forgotten about some of those along the way. please contact us in the forum and we will sort it out. the keyboard consuls, screen watching strategoi, philosophising players and mouse clicking chieftains. Thank you to every fan of Europa Barbarorum, whoever you are and wherever you are. Thank you for sharing in our passion, thank you for supporting us and above all, we hope you have fun. We also thank the following for inspiration: Monty Python, Caesar 3, Gladiatus, 0 A.D. The EBII team are volunteers who contribute their time and energy for free, and we don't want to change that. However, from time to time, we do elicit donations to cover our costs. These are for server hosting, which have come due recently. If you liked EBII enough to feel like you want to help the team, please see the link at the bottom of the EB website. In closing - EBII is still not complete. We are not finished - there will be future releases. We are at around 80% complete now - what we still need, what we always need, are more willing volunteers. If you are a 3D artist able to work with 3DS Max or Milkshape, or a 2D artist skilled with Photoshop who can work to instructions, we want you. If you have a knowledge in ancient history and a desire to contribute, we want you. If you are a scripter or coder, and have some familiarity with the files used here (compiled with C++ I believe), we want you. If you can proofread and edit XML files accurately, we want you. If you can playtest the ever-living crap out of a game, then do it all over again after a minor change, we want you. If you like the mod, and are eager to learn how to do something that can help to contribute, we want you. Apply here. As ever, thank you for your support and remember to read more history. Last edited by QuintusSertorius; 12-03-2018 at 21:11. Very exciting news, glad to see the team's vision is getting closer to completion.